Photo by Zach Forstrom. The Prairie Home Cemetery across Eighth Street in Moorhead was the inspiration for Garrison Keillor's weekly radio show, A Prairie Home Companion. It holds a lot of local history, especially for Concordia. A quick poll of students in the Atrium revealed that many Concordia students grew up listening to Garrison Keillor’s weekly radio show, “A Prairie Home Companion.” The quirky Midwestern feel of the show inspires small-town nostalgia in many people, whether they grew up in a Lake Wobegon-esque town or a large city halfway across the nation. The inspiration for the show itself, however, comes from a surprising place: Concordia’s very own neighbor, the Prairie Home Cemetery. Situated across 8th Street from the campus, the cemetery is an often overlooked landmark that identifies the campus landscape nearly as much as Old Main or Park Region Hall. Few people, however, know anything about the history of the graveyard. “[This cemetery] is the start of Moorhead’s history,” the cemetery’s caretaker Mike Skavlem said. As Moorhead’s first and oldest cemetery, it contains the remains of many of the town’s earliest founders and the memories of the years gone by. 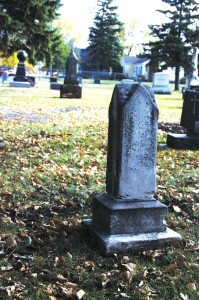 Dr. Paul Harris, professor of history at Minnesota State University–Moorhead, was hired by the Cemetery Association to research the history of the graveyard. According to a paper written by him, the Prairie Home Cemetery was founded in 1875 by seven town leaders who made up the board of Moorhead’s Cemetery Association. At that time, Moorhead was a small frontier town on the edge of the prairie, and the bulk of the town lay in the area where the Heritage Hjemkomst Interpretive Center now stands. The cemetery was therefore located a good way out of town, which was in keeping with public health practices of the 19th century, a time when many people believed that disease was spread by miasmas, noxious gases that emanated from graveyards. A short walk through the cemetery reveals many prominent names in Moorhead’s history, including the Comstocks. Solomon G. Comstock built his fortune as a land agent but then spent the rest of his life in politics. He worked as a County Attorney, state legislator and U.S. congressional representative. He worked intensively to build up the city of Moorhead and is credited for bring the Normal School (now MSUM) to Moorhead as a legislator. He also served as a founding board member of the cemetery where he eventually came to rest. Not all the deceased in the Prairie Home Cemetery are as prestigious as Comstock, however. 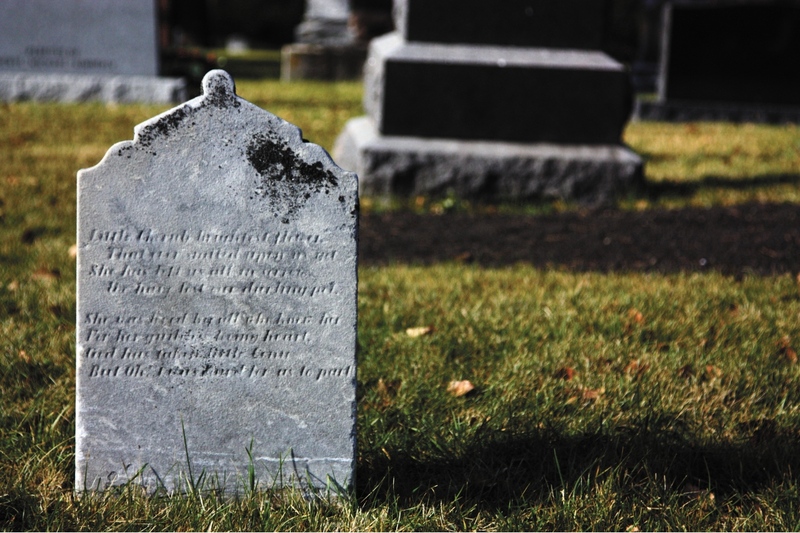 Numerous graves trace the early history of Moorhead as a loose frontier town, such as the grave of a Mrs. Elmer Merritt, who was “shot in a house of ill-fame,” according to town records cited in Harris’ paper. Indeed it is the more colorful stories of the deceased in Prairie Home Cemetery that Harris finds particularly interesting. “I suppose the thing that stands out the most to me was the founding incident, when the Reverend [O.H. Elmer] needed a place to bury his brother who had committed suicide,” Harris said. The immigrant history of Moorhead is also visible in the graves of many of the cemetery’s inhabitants, whose headstones are inscribed in Norwegian or Swedish. Lines of religious and social segregation are also present in the history of the graveyard. The northeast quarter of the cemetery was set aside for Catholics, and the poorest, most obscure individuals came to rest in potters field, a lowland section of the cemetery now covered by a turn-around circle. Eventually, the cemetery began to be overtaken by the growing town, and it was trapped in the small square where it now lies by the growth of neighborhoods and Concordia itself. Unable to expand, the cemetery soon filled up, and though a few people still continue to be buried in Prairie Home, a new one, Riverside in Fargo, has become the town cemetery. Despite the fact that its heyday came and went in the late 19th and early 20th centuries, the Prairie Home Cemetery still continued to hold a special place in the lives of Moorhead residents. Beth (Hopeman) Dille, wife of President Emeritus of MSUM Roland Dille, shared a yard with the cemetery and remembered playing around the headstones with her friends as a child and taking a path through the cemetery everyday on her way to Sharp School (now the Townsite Center). She also remembered Prairie Home as the site of Moorhead’s annual Memorial Day celebration in which white crosses were erected in honor of the war dead, and girls from the Sharp School were chosen to lay wreaths around the crosses. Harris also told of a rumored connection between the cemetery and Concordia College. “Back in the days when dorms were gender-segregated, going over and hiding behind a headstone was a way for a couple to get a little privacy,” Harris said. Though the cemetery is now rarely used for burials, Harris believes the graveyard is still an important landmark for the citizens of Moorhead. “I think, for a lot of people, it’s a visible link to the past,” Harris said. As a non-native transplant to Moorhead from Rochester, NY, Harris also considers learning about the history of his home a vital part of becoming connected to the area.